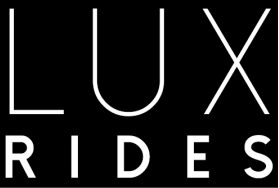 Lux Rides is a private locally owned small Arizona business. The McBride family has over 15 years of hospitality and customer service experience, we guaranty our luxury transportation meet all of your expectations. Aside from Lux Ride's own late model fleet, we also partner with a very select network of Owner/Operators as well to make sure we are always available when you need us. All of the drivers we partner with are held to the highest of standards. Their vehicles are routinely inspected for cleanliness and maintenance to ensure your Lux Ride is always enjoyable. Our vehicles are considered Limos for licensing purposes and we invite you to BYOB as open container laws do not apply to limousines. Be it a ride from Moon Valley to Downtown Phoenix's Chase Stadium or Scottsdale to Glendale's University of Phoenix Stadium, you can start your pre-game fun on the ride over in a Lux Ride.